Metro Morning food guide Suresh Doss visits Sasaki Fine Pastry in Markham for Japanese mochi that is "the closest to the real stuff I've had in Tokyo." Allan Lee distinctly recalls the first time he tried his wife Yukiko Sasaki's homemade mochi. 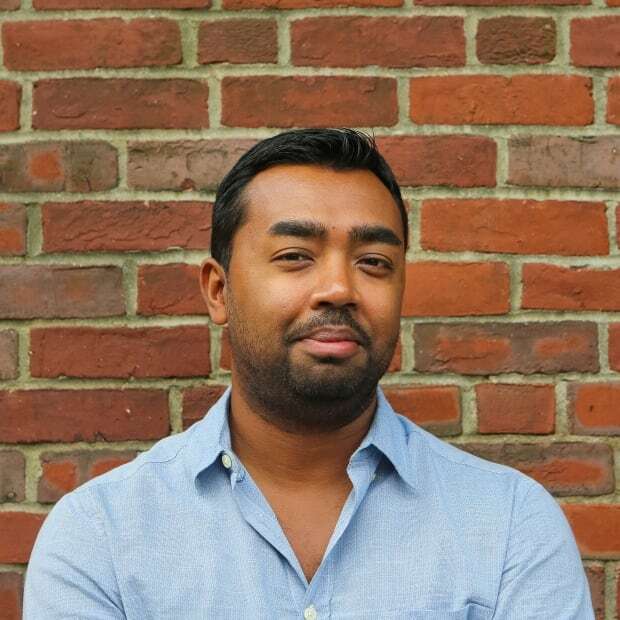 "My mom and I both had the biggest smiles on our face," he said. "In Canada, it's very hard to get fresh mochi. It reminded us of Japan." We're sitting at the back of the bustling J-Town complex in Markham late one Sunday morning — Little Japan to those uninitiated. The main floor looks like a corporate complex with a variety of Japanese stores nestled together. For a taste of Japanese culture, this is where you go for hot foods and imported goods. The place is packed with weekenders, stopping by Bakery Nakamura for pastries or Famu for thinly sliced pieces of beef for shabu-shabu, a Japanese hotpot dish. But Sasaki's shop is quiet. 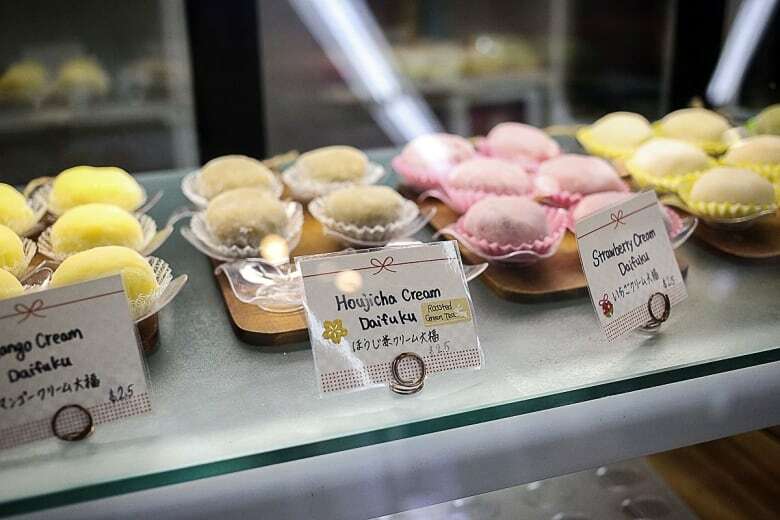 I would wager that many people that visit J-Town don't know about Sasaki Fine Pastry because it's tucked away at the back of the complex, behind an uninviting set of doors that lead you to believe that you're walking into the kitchen or back of house. Sasaki is not a trained pastry chef. She didn't go to culinary school. Her training is mostly from spending her youth in Japan, learning from her uncle who frequently made mochi. He would make the beloved glutinous rice cakes often, and Sasaki found herself often shadowing him. "I think people like mochi because it brings out the kid in you. Like you are playing with your food and then eating it," she said. "Also, it's not supposed to be sweet. I like that it's not too sweet." A few years ago, Sasaki moved to Canada to learn English. She met Allan, they married, and one night she offered to make him and his mom some mochi. 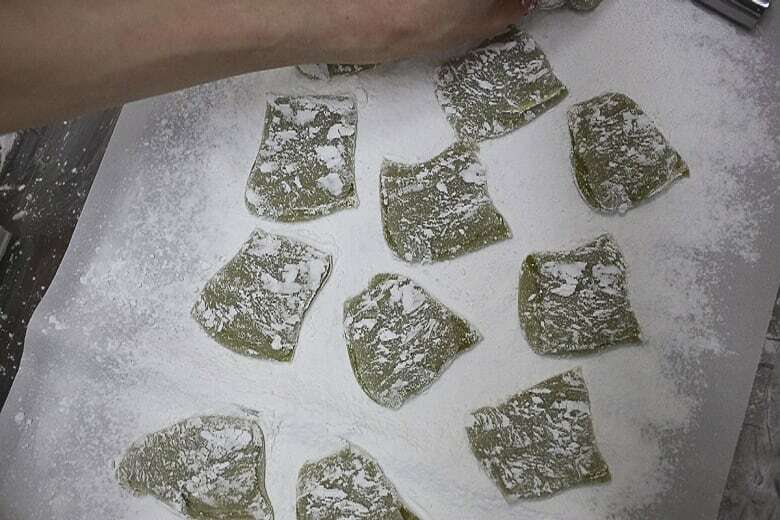 Mochi isn't something you just whip up. The dessert takes a considerable amount of skill and deftness as you turn sticky rice into a gooey paste after warming it and pounding it in a mortar and pestle. It's then cooled, coated with icing sugar and filled with things like red bean paste, nuts, cake or even ice cream. The result is a dumpling that feels like super soft play dough, falling apart easily if you hold it for too long. "Mochi is very sensitive. 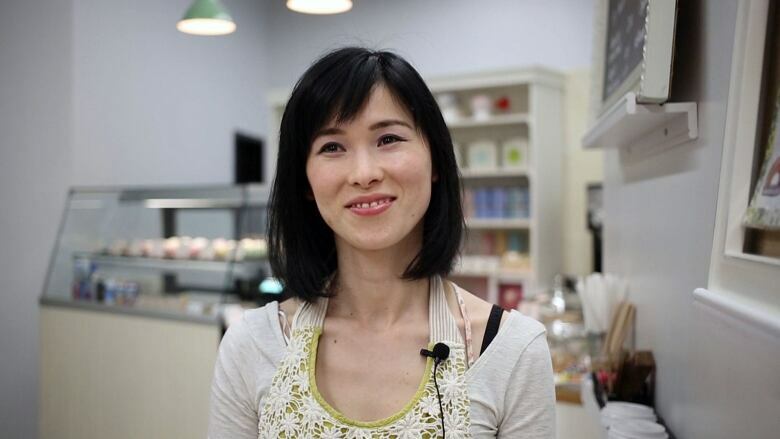 You must eat it quickly," Sasaki said as she carefully rolls each mochi in her hands after a dusting of icing sugar. In Toronto, you can find packaged frozen mochi at most Asian grocery stores but they are usually laced with preservatives to maintain structure, and they don't taste great. Sasaki makes fresh mochi at her place every day; sometimes up to nearly a dozen flavors, using carefully selected Japanese ingredients. 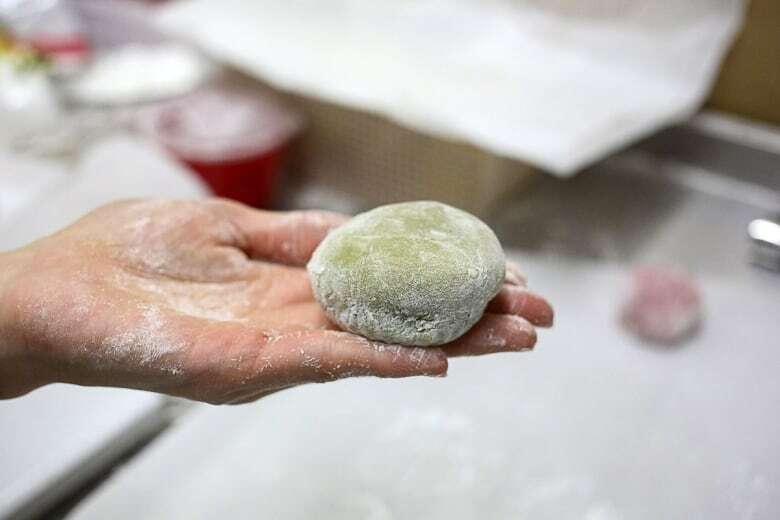 "Everything we use here is either a local ingredient or we import especially from Japan," Lee said, as he points to the green tea mochi, the most popular in the store. Slightly tannic, it tastes like you're eating green tea ice cream with a chewy exterior. After trying Sasaki's mochi a few more times, Lee knew he had to convince her to open a shop. "It was difficult at first. Yukiko was cold to the idea because she's very shy and didn't think people would love it," he said. 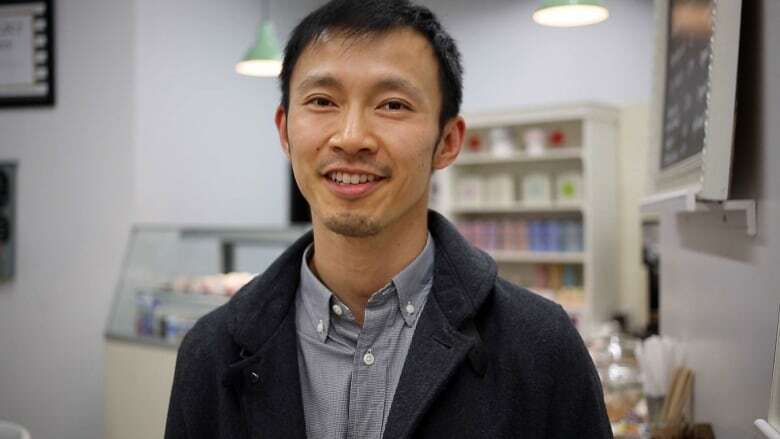 Lee eventually convinced Sasaki to make some mochi for a local Buddhist temple in Toronto as an offering. It went over very well. "Everyone loved it so much. A taste of Japan that you can't find here. They gave her a plaque." Sasaki was convinced and Lee helped her source a permanent location for her mochi stand at the back of the J-town complex. I've tried a lot of mochi in Toronto, and to date, Sasaki's versions come the closest to the real stuff I've had in Tokyo. Sasaki's rotation changes seasonally. Favourites include the coffee cream mochi, strawberry cream, and of course anything green tea — especially the Houjicha green tea mochi. Each mochi is different in texture and taste, so I recommend you order a few different versions and accompany them with some hot tea. Sasaki Fine Pastry is at 3160 Steeles Ave. E.
An earlier version of this column referred to the shop owner as Adam Tam. In fact, his name is Allan Lee.